Re-stock: T. B.A. 11 Mbit PCMCIA Network card for Amiga 1200 and Amiga 600. 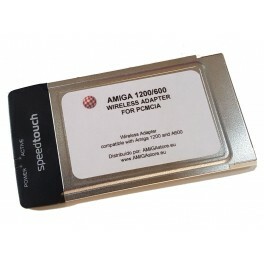 PCMCIA wireless network card Amiga 1200 and Amiga 600. Compatible with WEP and WPA encryption protocols. 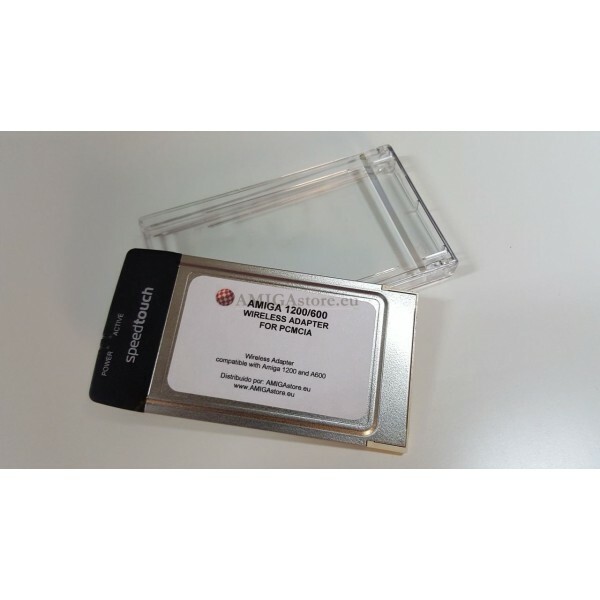 Connect your A1200/600 to Internet or to your home network with this PCMCIA wireless ethernet card. This wireless PCMCIA card support WEB and WPA encryption protocols and it is compatible with the prism2.device driver. Apart from the driver, you will need a TCP/IP stack software as AmiTCP, Genesis, or MiamiDx. TCP/IP stacks as MiamiDx or AmiTCP may be hard to configure. We recommend Genesis that can be found on the AmigaOS 3.9 install CD. Please note that AMIGAstore warranty the hardware operation and the compatibility with your system (please see the requirements section). But since networks configurations depen on many factors and it's very difficult make a diagnostic by email or phone, we don't offer configuration support for this product. If you are a newbie user of Amiga systems, or you think you have not the enough skills with network protocols and AmigaOS, please don't buy this product.